I am here to express my general anger towards this whole player level situation. I've found myself constantly wanting to get my player level higher, but it just dawned on me that there's absolutely no benefit to doing so in the long run. Obviously I can't prevent it, but the whole concept just seems rather lackluster to me now and I could care less about it. I'm currently level 38. It takes me 3,750 XP to progress to the next level until level 49 where it starts taking 4,200 XP to progress to the next level and continues to remain at that number until you hit level 100. That being said, the shard payout is 300 shards until you hit 100 and you automatically get reset back to player devotion 1, level 1. You get absolutely no reward for reaching these higher levels and you get no reward for devoting yourself, either. Once you have a Devotion level, you get no extra shards for having that 'devotion'. A guide on steam tells me that by the end of the 100 levels, you will have gotten 353,370 XP (dasmaffmaffs guide on steam) and only gained 25,270 shards. Barely just enough to buy one of the more expensive items from the store. MY QUESTION IS: WHY ON EARTH IS THERE NO REWARD FOR HAVING DEVOTION POINTS? Like 10% increase in shards for one devotion point, or even 5%. I don't care but just give players something? Is it just laziness that all the higher levels are the same XP to progress and the same shard payout for progressing? Did you get tired of converting XP:shards? I don't think the point of my post was really to discuss it but to bring it to attention. The more it's brought to attention the more they'll (hopefully) do something about it. so am i but i hope so the devs bring more contents to enjoy who passed level 100. EXACTLY. I agree 100%. I am level 99 and I'm about to get my 2nd devotion and I had such a devastating feeling that there is nothing behind this "devotion". Only numbers which no one will ever see. It doesn't even work with showing off. It doesn't make any sense! To level up just for the sake of leveling up. Really?? PLEASE DO SOMETHING. Any minor reward would be nice. Apparently they plan to give rewards for Devotion but they said the same about giving rewards for Rank Seasons and yet here we are, over 2 years later, with no such thing. Yeah. But getting devotion 1 is much more time requiring than getting rank 1. The leveling system literally came out on the latest big patch. Like, I agree with you that it needs a better rewards system but I'm pretty sure the dev team also know that. The only reason why it's still not implemented is probably because they have to focus on rebalancing perks, fixing bugs, adding new killer/survivor/map, adding new cosmetics to the store.. All of which leaves a small gap for new things. I'm sure your concerns are aligned with the dev team. 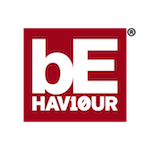 Like it's good to give your own opinions and suggestions for the new devotion system but you shouldn't be angry at the dev team for not having implemented anything like that yet. Give them time to sort out other stuff too. They've done so much more than what you're saying. Just in the latest patch they added a map/killer/survivor, a new cosmetics shop (which is a huge deal), a leveling system and other minimal stuff.. To implement something into a game, you gotta plan it out, get the concept approved, then you gotta implement it into the game and if you're lucky, the bugs that it creates doesn't mess up older content. I might be exaggerating a little but come on dude they did a good job last patch. We gotta give them some breathing space. Did I say "they don't do anything"? With rank rewards they had time. They could find a little bit of time to do smth about the rank rewards during the time the rank system exists. and that is almost 2 years. 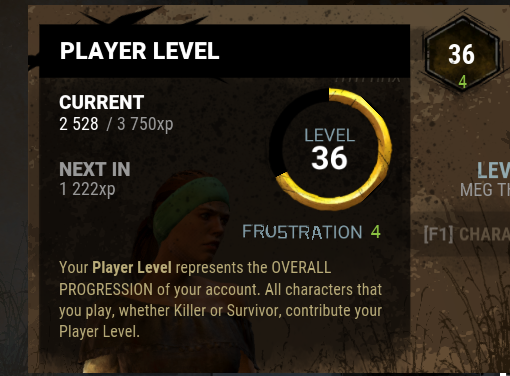 At least make it so other survivors could see your devotion level. Otherwise why do we have this level if there is nothin behind it, just a count, which cannot be shown to anyone. or probably even up to a million on the 20th devotion and so forth.? This is a more moderate version. But give us something to look forward to. There is nothing. There's no point playing your game in long term. You don't give anything in turn. etc. up to a million. Please, Pay attention to this thing. anyone. Would prefer something along the lines of either cosmetics in the store being restricted to minimum devotion levels, or some sort of discount multiplier. That's a very good idea. I like that. Cosmetics given after reaching a certain level of devotion. something like that? Like a prestige thing? Devotion should x2 your all rewards from previous levels. If you don't understand I explain. Example - For 99 levels you receive 300 shards. 100 level (devotion) give you 600 What do you think. Devotion INCREASE YOUR ACTUAL SHARD YOU GOT x2 or x3.